São Paulo has the largest and most diverse population in Brazil: more than 40 million people, of whom about 3 million are immigrants of 70 different nationalities. The state is recognized as one of the main destinations for business and events in the America and its capital, the city of São Paulo, is one of the major financial centers in the world. 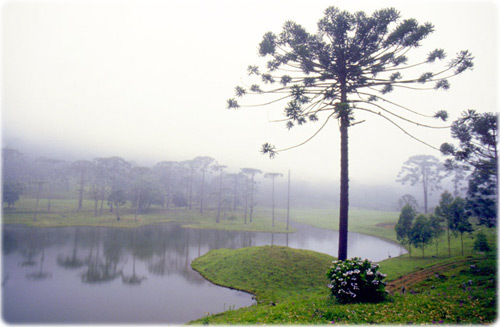 Landscape in the Serra da Bocaina National Park. Beach in São Vicente in the coast of São Paulo. This beautiful city was founded, as a village, in 1532. 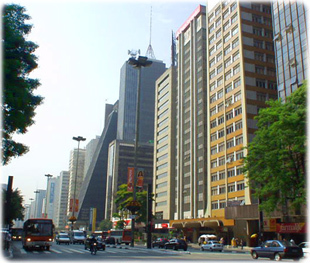 Avenida Paulista, the financial center of the city.